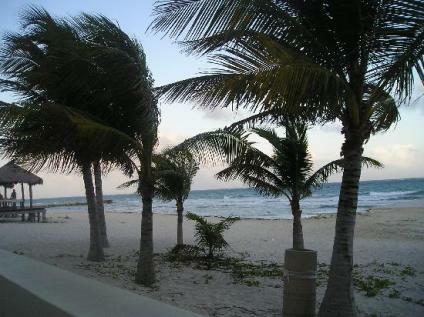 Hotel Marina El Cid Spa is located near a charming fishing village in Puerto Morelos. Nestled under palm trees, and steps away from a 120 Slip Marina, dive shop, mini supermarket and sportfishing fleet. This all inclusive resort is great for couples, honeymooners and those that love to dive! What makes Hotel Marina El Cid Spa unique? How many pools does Hotel Marina El Cid Spa have? This all inclusive resort has a 22,000 sq. ft. free form pool that is mindblowing! There are plenty of chairs and tables around the pool if you want to layout, or lounge. The pool has in water lounge chairs, sun deck and swim up bar. The pool has a huge waterslide that is great for kids, AND adults! Daily activities also take place at the pool. 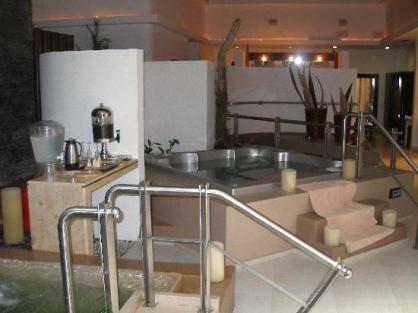 This beach resort has set aside a Whirlpool for adults only and a Silent Zone for an area if you need some time away. This picture is an overview of the pool area. I love how blue the water is! What activities are at this resort? water polo, bike tours and games. daily activities are planned to keep your kids having fun! What restaurants and Bars are at the Hotel Marina El Cid Spa? This resort has 4 restaurants. 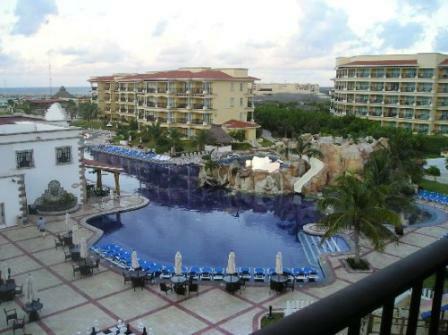 Mexican food poolside with an oceanview is open 6:30am-10:30pm. they serve flank steak, pork cutlets, tuna and shrimp. Seafood restaurant is by the marina with gorgeous sunset views. There are 4 delicious bars located throughout the resort as well. Are Spa Services offered at the Hotel Marina El Cid Spa? Yes!! The 13000 sq. ft. El Cocay Spa at this all inclusive is memorable! It is inspired by ancient mayan legend tradition. hair and nail salon services. You will be more than delighted with these great, relaxing services! All rooms are suites here at the Hotel Marina El Cid Spa. Rooms offered are from Junior Suites to 3 bedroom suites. bright, airy rooms with garden or ocean view. and marble floors and counters. 2 bedroom suites and 3 bedroom suites are available! 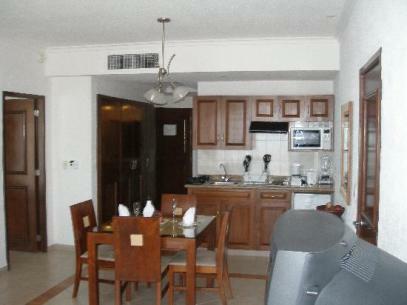 This picture is of a 1 bedroom suite with kitchen.